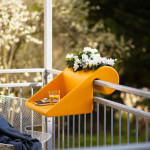 Selling at Rephormhaus, a German design company that specializes in space-saving furniture, this legless makeshift design takes up hardly any room. 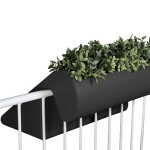 Made from solid recyclable polyethylene plastic, it measures 23.6 inches x 21.2 inches x 13.7 inches. 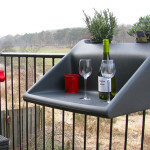 The height will depend on the height of your balcony minus eight inches. 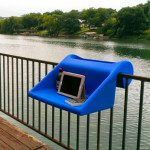 It comes in a wide variety of colors, adding a bright spark to your new outdoor office. 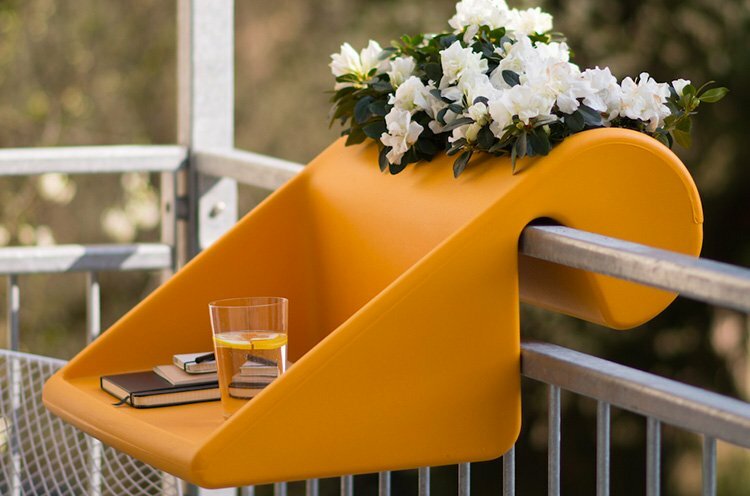 Weatherproof and versatile, it can also be used as a shelf or small table to hold a book or serve as the perfect bed for your four-legged friend. 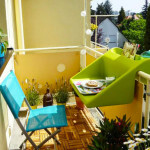 And when the sun sets, BalKonzept can hold some drinks; fill the cavity with ice cubes, and you’ve got a balcony party. 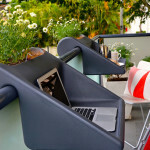 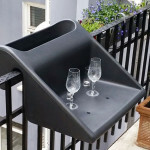 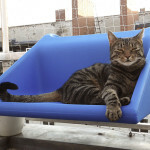 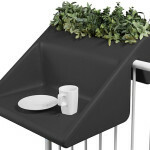 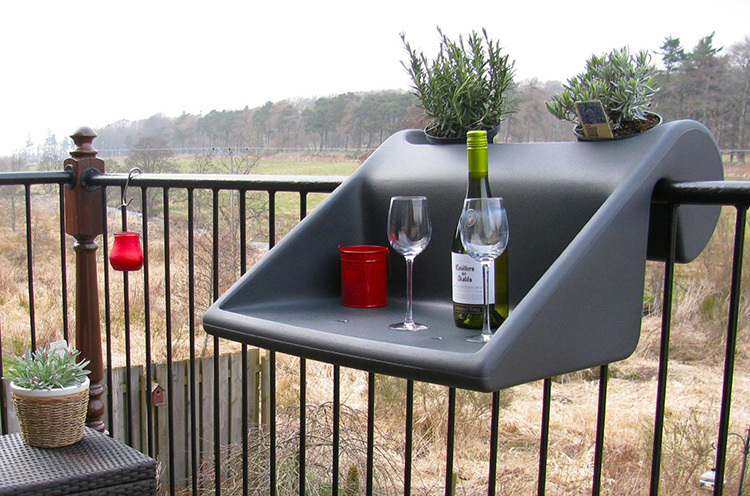 See more outdoorsy space-saving furniture by Michael Hilgers here and see more uses for BalKonzept here. 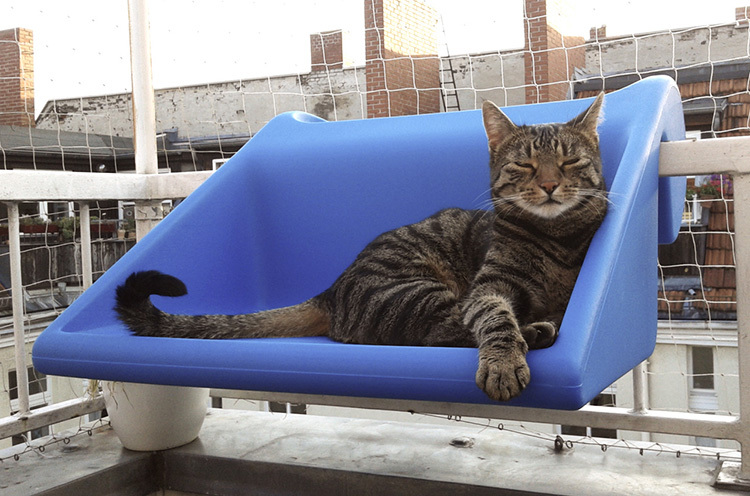 Cool….but the only problem with the Fire Escape part is that according to New York City fire rule regulations, its illegal to have anything (let alone humans) hanging out on the fire escapes. 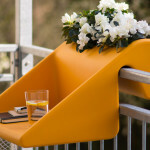 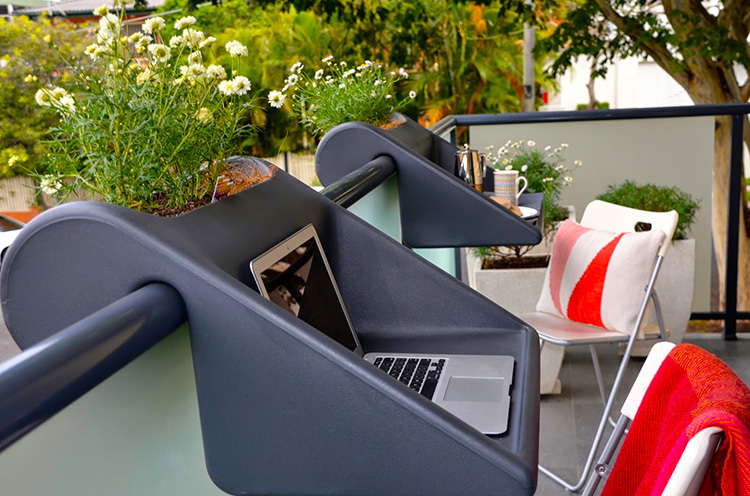 Balconies, different story obviously, but this balcony desk would be a no-no in NYC.